The mystery wine turned out to be the 2014 Tawse Gamay from Ontario showing young fresh fruity easy drinking good acidity non tannic style that allowed versatility resulting in dishes with varied success ranging from salmon to bison. Ground Elk; Whole Squid; Red Lentils; Ontario Roasted Non-Salted Peanuts; Black Salsify; Ox-Eye Daisy Flower Caper Heads; and Nova Scotia seaweed Hana Tsunomato. Marc Lepine – Atelier, Ottawa. 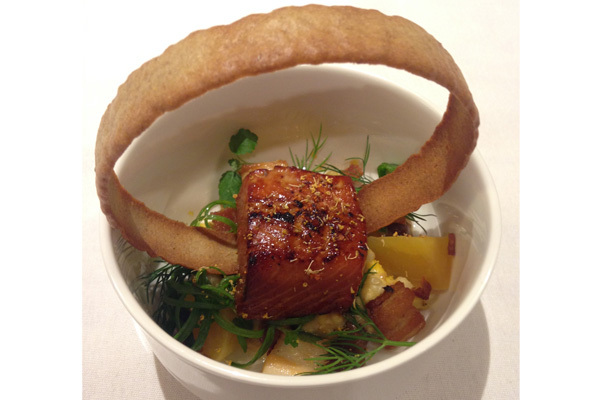 Smoked steelhead trout with miso-molasses glaze, cured pork belly, barley and corn porridge, corn cob broth. 2012 Le Clos Jordanne Vineyard Chardonnay Twenty Mile Bench, Niagara Peninsula. Matthew Batey – The Nash Restaurant & Off Cut Bar, Calgary. 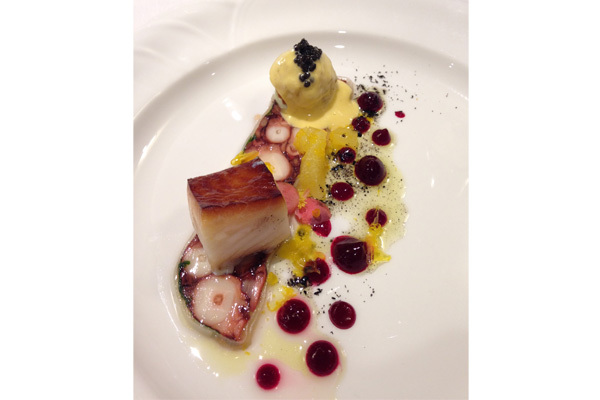 Alder Smoked Sablefish, Pacific Octopus Compression, Northern Divine Caviar, Yukon Gold Potato, Sabayon. 2011 Road 13 Sparkling Chenin Blanc, Oliver, BC. Alex Chen – Boulevard Kitchen & Oyster Bar, Vancouver. 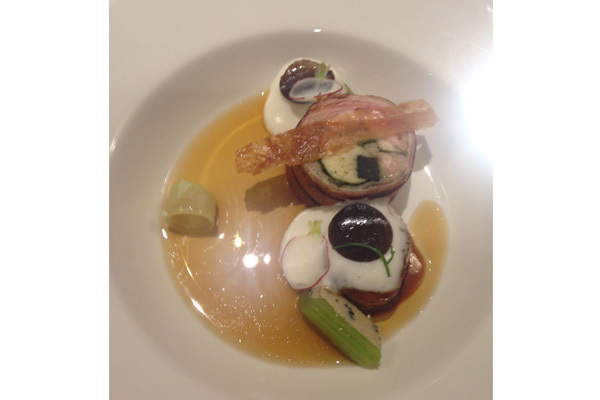 Truffle scented chicken, celeriac fondant, foie gras stuffed celery, “Umani” consommé. 2009 Foxtrot Vineyards Pinot Noir, Naramata, BC. Jan Trittenbach – Solstice Seasonal Cuisine, Edmonton. Duo of Stuffed Pork Roulade and Pork Belly Pistachio and Beet “Soil”. 2012 Sandhill Small Lots Three, Sandhill Estate Vineyard, Okanagan, BC. Jonathan Thauberger – Crave Kitchen & Wine Bar, Regina. Fruits De Mer in Dashi. 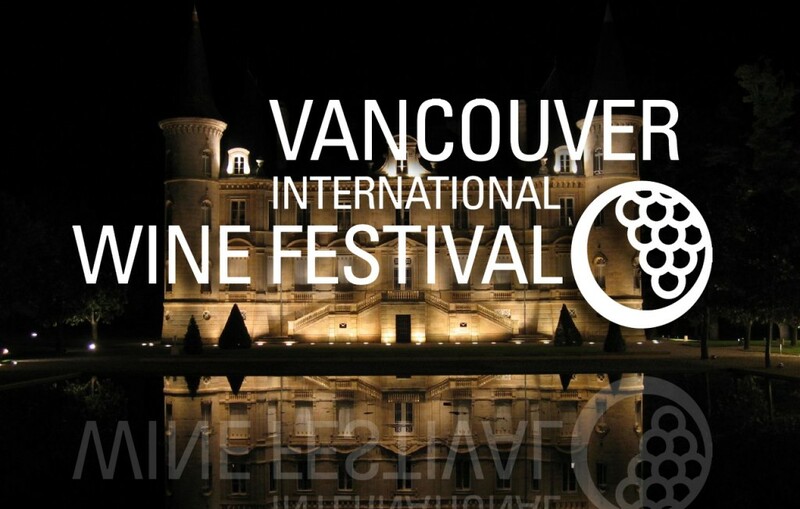 2014 Ava blend Viognier/Marsanne/Rousanne from Le Vieux Pin, South Okanagan, BC. Stuart Camneron – Byblos, Toronto. Pressed Quail, Foie Gras Mousse borek, Rose Jam, & Iranian Pistachio. 2013 Benjamin Bridge Nova 7, Gaspereau Valley, Nova Scotia. Norm Pastorin – The Cornerstone Bar & Restaurant, Winnipeg. Confit salmon, bacon-quinoa-salmon roe, pickled shallots, tamagoyaki, soy ginger anise glaze. 2013 Burrowing Owl Estate Winery Chardonnay, Okanagan Valley, BC. Darren Craddock – Riverside Country Club, Saskatoon. Golden Prairies Saskatchewan Wild Boar, Spiced Neck & Birch Syrup Glazed Belly, Textures of Crab Apple, Sunchoke & Cherry, “old Vines” Infused Saskatchewan Mustard. 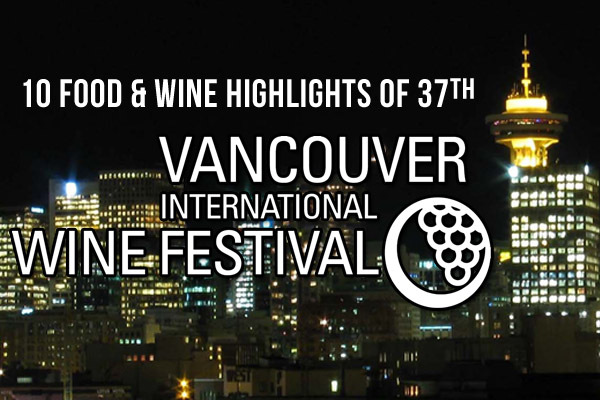 2014 Hester Creek Estate Winery Old Vines Block Trebbiano, Okanagan Valley, BC. Guillaume Cantin – Les 400 Coups, Montreal. Suckling Pig with Maple Glaze, Blood Sausage, “Pois au Lard”, Saskatoon Berry Ketchup, Butter Nuts, and Tarragon. Amber Ale Beer a Table, Brasseurs du Monde de Saint-Hyacinthe. Roger Andres – Relish Gourmet Burgers, St John’s. Acadian Sturgeon Premium Caviar, Sea Urchin Bavarian, Scallop Bottarga, Shallot Toast, Crisp Buckwheat, Sour Cream and Lemon Curd, Pink Peppercorn Meringue. 2014 Benjamin Bridge Tidal Bay, Gaspereau Valley, Nova Scotia. Martin Ruiz Salvador – Fleur de Sel, Halifax. Rabbit & Snails. 2013 Lightfoot & Wolfville Ancienne Chardonnay, Wolfville, Nova Scotia. These chefs all showed brilliant culinary skills in this tough competition. Marc Lepine received the Gold and is the first 2 time winner having won gold also in 2012. Matthew Batey won Silver & Alex Chen Bronze. All were worthy of recognition. If you are a tourist in any of these cities in 2016 I recommend you check their restaurants out for an interesting dining experience! 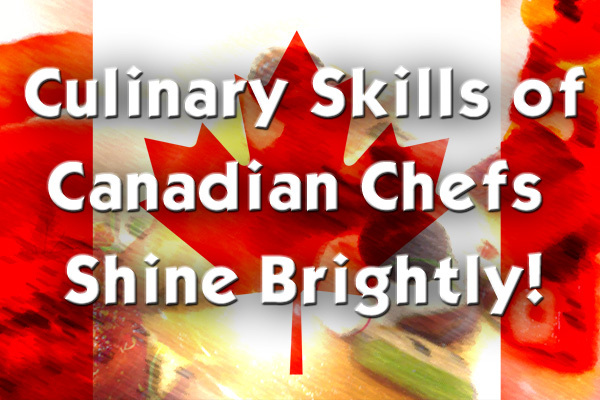 Have you attended the Canadian Culinary Championships?